Plan Change 5 has recently been notified, introducing a new set of rules for the Waitaki River catchment. The plan change is going through submissions and will be followed by hearings and potentially a court process through 2016. We have been working with farmers and other primary sector organisations throughout the preparation of the plan and on submissions and will support you to understand what the plan changes mean for your farm business. 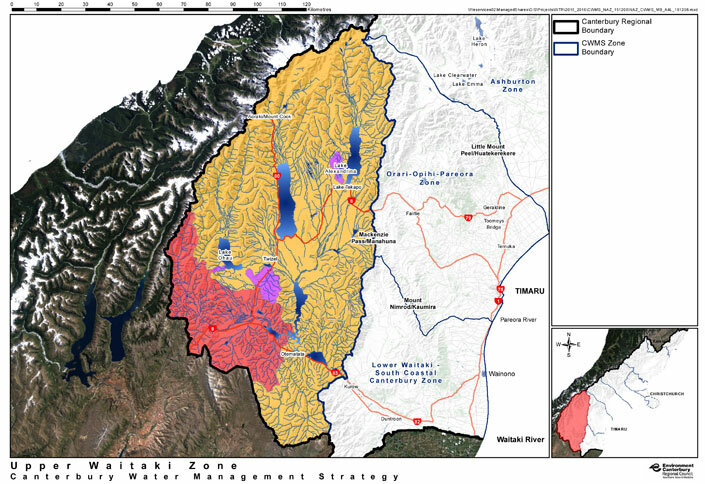 The Upper Waitaki has different coloured zones representing different nutrient allocation rules. Click on the colour below the map for an explanation. Upper Waitaki Zone map. Click to download pdf version. Environment Canterbury released a plan change relating to nutrient management rules for the Waitaki River catchments in February 2016. DairyNZ has been working with other industry groups throughout the preparation of the plan, and will continue to do so once it is notified. This is called Plan Change 5. DairyNZ has prepared a submission on the plan change and this will be followed by hearings and potentially a court process through 2016. For more information on on what's happening in Upper Waitaki contact Katherine McCusker on katherine.mccusker@dairynz.co.nz or 022 071 0255. Read more on Environment Canterbury's Canterbury Water Upper Waitaki Zone page.